This cognac is pure and natural with pleasant aromas of citrus flavor and driedfruits. It has very pure and light oak aromas on the palate. Great harmony and balance between oak and fruits. 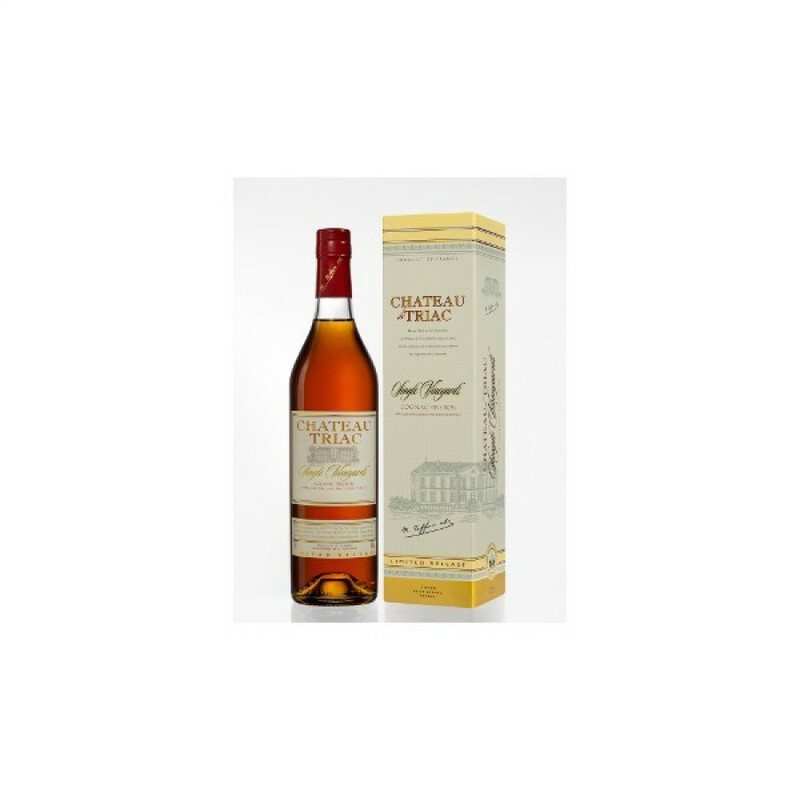 The Tiffon Chateau de Triac VSOP Single Vineyards Cognac is, as the name suggests, created from a blend from one vineyard. It's a Fins Bois cognac, with all the unique qualities (lovely floral aromas) that you'd expect from this terroir. A lovely, deep golden color, this is a versatile cognac that can be enjoyed neat - perhaps as a digestif, or you can release a subtle different taste by the addition of ice or a drop or two of water. For a real treat, you can use it as an ingredient in your favorite cocktail. It comes in a traditional style cognac bottle and smart presentation box. A great staple for your drinks cabinet.